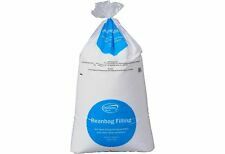 Functional and lightweight polystyrene balls provide the perfect filling for any cushion. The premium quality material, free from any harmful substances is suitable for allergy sufferers. Practical zip lets you easily adjust the amount of the filling.